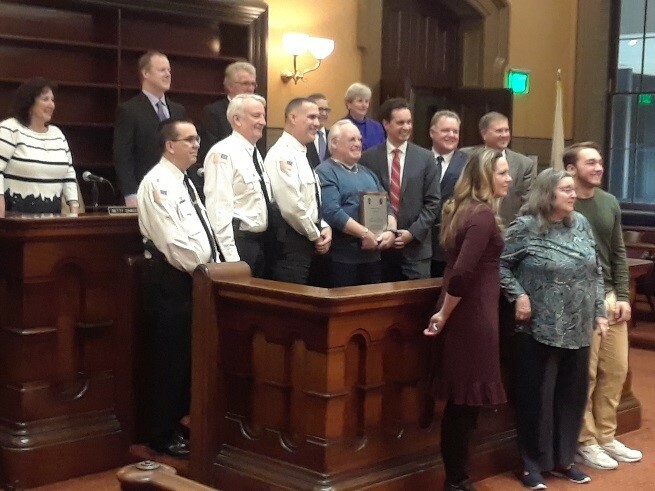 Congratulations, Don MacPhail, guest at a wonderful ceremony to honor your service as a volunteer Meals on Wheels driver. The recently renovated 1820 Courthouse located inside the new Town Hall Building in Plymouth was a majestic setting for this honor. As part of our Nutrition Program, OCES delivers 1,600 meals a day with the help of 450 volunteers. For many of our most vulnerable older adults and individuals with disabilities, the delivery is not only a delicious meal, it is often the only social contact of the day. A connection to the community through Meals on Wheels is also a safety check to make sure our older citizens are okay. While on one of his multiple volunteer driving routes, he noticed that a consumer did not come to the door, which was unusual. He was able to see that she had fallen. Through his quick action in calling 911, the consumer was able to get the help she needed. 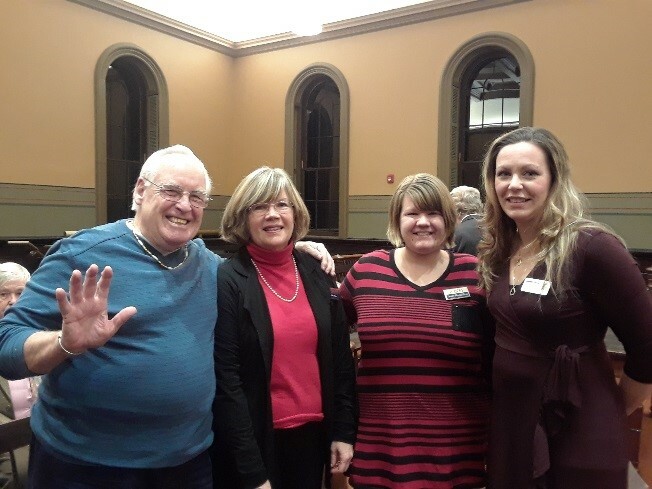 Pictured below left to right; Don, Christine McLaren, OCES Community Programs Director, Jean-Marie Finn, OCES Volunteer Coordinator and Jennifer Young, Director of Elder Affairs for the Town of Plymouth.